Our company analyzes user needs and develops and executes air conditioning projects for commercial sites of any kind or size. Commercial air conditioning is for companies or larger buildings, such as hospitals, restaurants, hotels and other places that are multi-leveled, have a certain amount of square footage and are visited by the public or have many employees that require a more intricate air conditioning system. For these purposes, a specific and advanced air conditioning system is required. 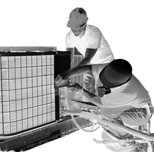 Commercial air conditioning systems need to be high quality while delivering the most cost-effective approach. 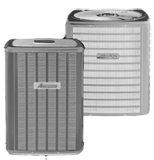 Founded in 2002, Picon Design Corporation is a well affirmed and most respected air conditioning company in Florida. Today, we provide a wide array of construction and maintenance services ranging from Commercial Design/Build Projects to Residential Emergency Services to our Service Savings Plan. Our professional service technicians understand your air conditioning and heating systems and can eliminate money wasting problems. Our Mission is to provide prompt, professional service and installation. Our reputation is based upon quality equipment as well as quality service. To every customer, to every project, we deliver our highly-trained technicians, the best equipment, and our commitment to honest work, service and quality. Through the years, our reputation and business have grown because happy customers refer more customers. Today, Picon Design Corporation is the area's leading HVAC firm offering a comprehensive range of capabilities to customers in commercial, government and residential sectors. Commercial air conditioning is mainly the heating and air conditioning of the entire building. HVAC technicians have to not only install the HVAC systems, but also continue to maintain and repair the air conditioning parts and equipment on a consistent basis. It's wise to find HVAC technicians that specialize in commercial air conditioning so they are familiar with the needs and concerns of their clients. Feel free to explore our site and then contact us with any questions and/or requests for service. We look forward to hearing from you.